Trufab Farm Machinery , manufacturer of chaff carts, chaser bins, seed and super chaser bins and large mobile field bins, discusses the benefits of using chaser bins. Chaser bins allow for an improved planning and management of harvester operations away from trucks and field bins while increasing harvesting rate and capacity.They also reduce fuel consumption and cause less damage on soil structure, compaction and erosion by having high harvester axle loads. There is also a reduced wear and tear on harvester components from the reduced stopping and starting of these chaser bins. Harvesting and movement of grain is enabled by using these chaser bins even in difficult soil conditions such as sandy soils or excessively wet conditions. 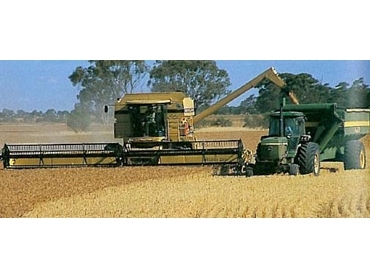 They also help harvesters around paddocks that are too large for one filling of the grain tank and they also make it for harvesters to work in contoured or odd-shaped paddocks.